Gather your team… we dance at noon. Once again, Soundkreations has teamed up with the Calgary City Teacher’s Convention to bring you the CCTC-DANCE-OFF! We are giving away a 3-Day SK School Residency ($1545 Value) to one lucky school AND a $300 Air Canada Gift Card to one lucky teacher! 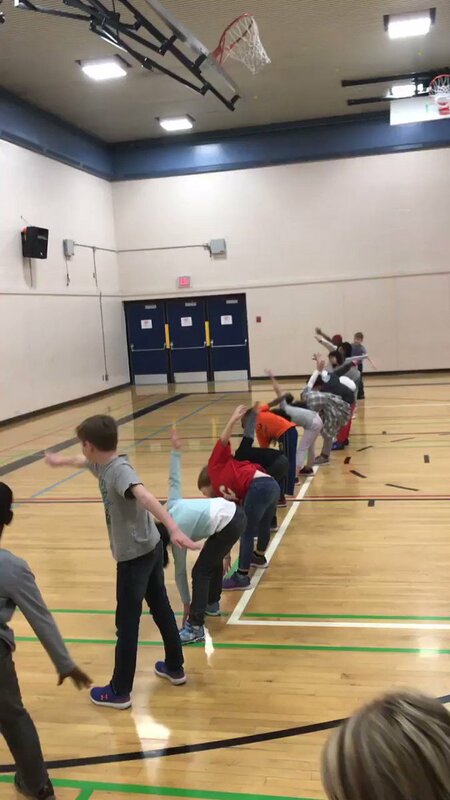 All you need to do is get as many members of your school staff to learn the dance combo below and join us at 12:00PM on Feb 15, 2019 at “Centre Stage” at the Telus Convention Centre! Want to up your chances of winning? Tweet a video of your school team performing the CCTC dance combo and include #CCTCdanceoff. *IMPORTANT* For information on how to register your team for this year’s DANCE-OFF, please scroll down to the instructions below the video. The more school staff you involve, the better your school’s chance of winning! Watch the video and learn the combo! If SK is visiting your school this year, ask the SK instructor to teach your team the combo OR just let us know if you’d like an SK Instructor to come out to your school and teach the combo to your staff… free of charge! Rep your school and increase your chances of wining by tweeting a video of your dance team #CCTCDANCEOFF. Tweets receive 2X the ballots! Find the SoundKreations Exhibitor booth at the Calgary City Teacher’s Convention and register ALL members of your school team BEFORE the dancing begins! Every Team Member = 1 Ballot! Meet us “Centre Stage” in the Telus Convention Center at 12PM. Bring your team, bring your A-Game… let’s dance! At the end of the dance-off we will draw one school’s name from the ballot box for the SK Residency Prize. The $300 Air Canada Gift Card will go to the dancer with the most swaaag! How can our school win the SK dance residency*? Each School Team Member must register at the SoundKreations Exhibitor booth before 11:30AM on Feb. 15, 2019. For each participating dancer one ballot, bearing the name of the school they represent, will be entered in the draw for the SK Dance Residency prize. All registered dancers must actually dance in the dance-off for their ballot to count. The draw will take place in the Pre-Function area of the Telus Convention Center after all teams have danced! How can a teacher win the $300 Air Canada Gift Card? The $300 Air Canada Gift Card will be awarded to the teacher who dances with the most swag! Basically, whichever dancer is giving it all that they’ve got will walk away with the gift card! For this prize, teachers do not need to pre-register or even learn the routine before-hand. Just show up and dance with us! Should we Tweet a video of our school team dancing? Yes! Not only is tweeting a video of your school team dancing the best way to REP YOUR SCHOOL but it also DOUBLES your chances of wining the school prize. When your school tweets your DANCE-OFF video and includes #CCTCDANCEOFF, your submitted ballots will multiplied X 2 on the day of the draw! What if we don’t learn the routine before, can we still participate? SK is coming to our school, can you guys teach us the combo in-person? Absolutely! Every SK Instructor is an expert in this year’s CCTC DANCEOFF Combo! Let your SK instructor know that your team would like to learn the CCTC DANCE-OFF Combo and together you can schedule ONE 15 minute instructional session during recces or lunch. Press “record” on the smartphone and Tweet the video out to #CCTCDANCEOFF! Will an SK Instructor come to our school to teach us the combo? Yes they will and it won’t cost you a penny! Get in contact with us and we’ll work out a time to swing by your school and teach the combo to your school team. The session will run for 20 minutes max and must include a minimum of 5 school staff members. How can I increase our chances of winning? The two main ways to increase your chances of wining the school prize is to increase the number of dancers participating (get EVERYONE on board!!) and to Tweet a video of your team dancing! Increase your sway points by coming up with a team name even wearing team colors at the Dance-off! Have some fun with it! *The awarded SoundKreations residency will be scheduled during an available week that suits all parties involved. If the winning school has already booked a SK Residency, the awarded residency cannot replace the current booking but can be used within the following 2 school years. Another Succesful In-School Beat Street Program at Father Doucet School! We’re SoundKreations, in-school dance residency program specialists. We make your gymnasium a safe place for students to take risks and succeed. Another Successful In-School Hip Hop Dance Program at Capilano! Another Successful In-School Hip Hop Dance Program at Harold Panabaker!